I hope everyone has been having a great week and if you are anything like me you are looking forward to the weekend! This week we have transitioned in the fall season here at the store and it has been nothing less than busy as always. We have been quite the busy bees with trying to keep up on the store and starting to get ready for our upcoming shows this fall and winter. I am not even going to lie to you the other night I was looking on my Pinterest account and a lot of my friends and followers were pinning Spanish rice. So, I thought why not share my recipe since it is trending in my little tiny circle of Pinterest? 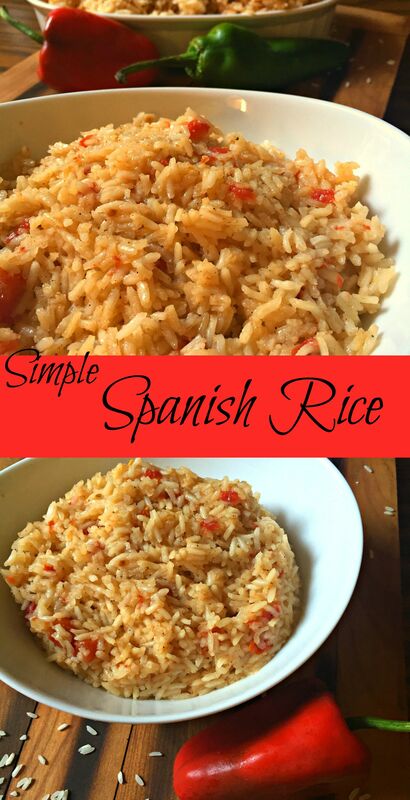 I have been making my spanish rice for about 3 or 4 years now. my mom taught me it one night when I was home from college and I have been making it ever since. I am not sure entirely where my mom got it from but I have modified a lot since then and played with to feed the taste that I want to come out of it! I have made it with vegetable broth, beef broth and chicken broth depending on what I am making with it. No, it’s not a fall or winter recipe per say but it is a great one that can become a simple staple in your meals (and maybe even get kids to eat some of the tomatoes and green chilis that are in there! )….